You are in good hands when you choose to receive your PADI training at the tropical White Chocolate Hills Resort, near Dumaguete in the Philippines. Our resident dive shop is an affiliated PADI Dive Resort. We can conduct the full range of PADI diver training from the introductory Discover Scuba Diving through to professional level Divemaster. Certified divers will be happy to know that we can instruct you in a wide range of PADI Specialty courses included the much popular Enriched Air Diver (Nitrox), PADI Underwater Naturalist and PADI Deep Diver. 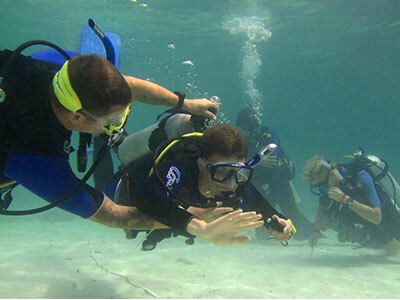 ​For more detail on each of the PADI Courses. Please provide us with courses you are interested and any dates you have in mind.